To make transportation safer, more efficient and more affordable for people everywhere. Our latest generation hardware starts with a vehicle platform, known for a strong track record of safety, which our team modifies to integrate the sensors and software that helps support our self-driving system. We are all used to a birds-eye-view of the world on our phones, maps for self-driving vehicles layer on a lot more data. Our self-driving system features an array of overlapping sensors gathering data covering 360° around the vehicle. Perception software processes this data and combines it with maps into a complete representation of the world around us. Our software understands the world around the vehicle, predicts what actors will do next, and plans a way to safely navigate on-road. The virtual world plays a key role in self-driving development allowing us to test challenging scenarios over and over before the vehicle reaches the test track. 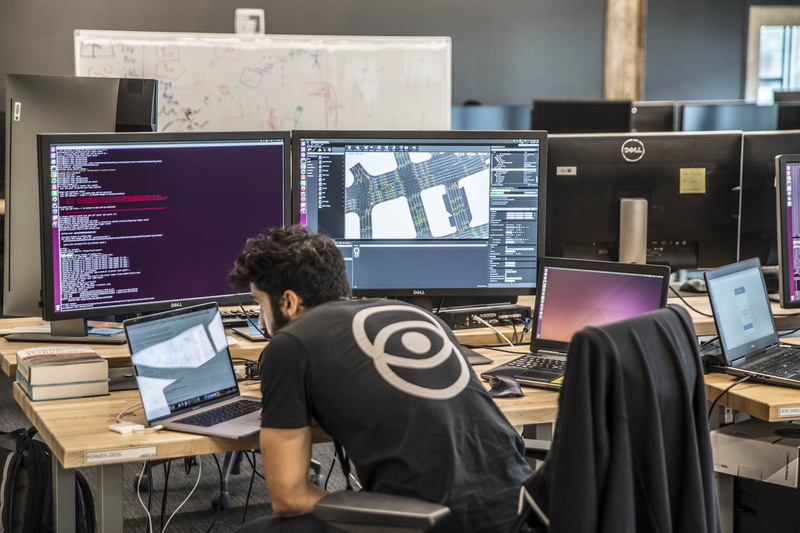 Our self-driving system is powered by a set of core software platforms, enabling activities ranging from petascale data processing to advanced machine learning to custom onboard computing infrastructure to multi-dimensional data visualization.